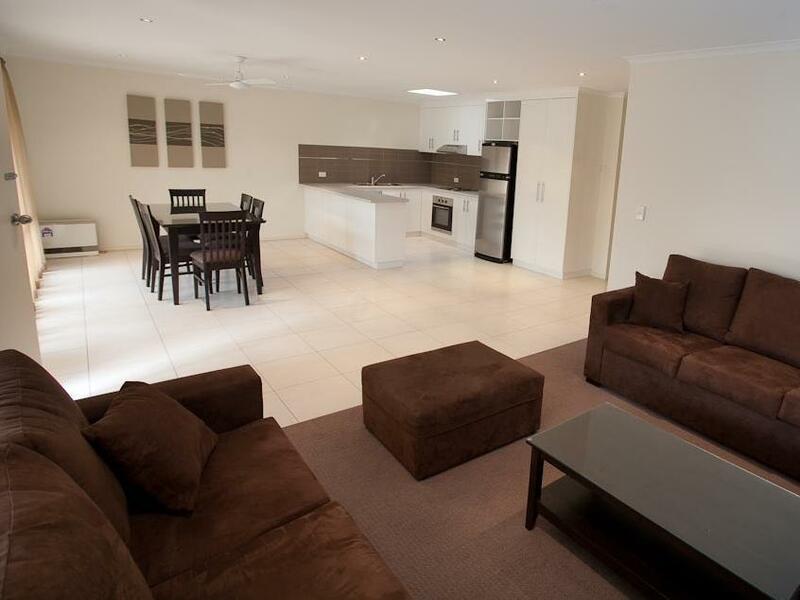 يشكل Echuca Moama Holiday Villas بموقعه الممتاز في مواما نقطة انطلاق جيدة لاستكشاف هذه المدينة النابضة بالحياة. يمكن من هنا للضيوف الاستمتاع بسهولة الوصول إلى كل ما تقدمه هذه المدينة النابضة بالحياة. يوفر الفندق بفضل موقعة الجيد وصولاً سهلاً إلى أهم معالم المدينة.
. يعمل Echuca Moama Holiday Villas على ضمان إقامة مريحة لضيوفه من خلال خدماته الممتازة وحسن ضيافته. يقدم الفندق فرصة للاستمتاع بشريحة واسعة من الخدمات بما فيها: مرافق مخصصة لذوي الاحتياجات الخاصة, تسجيل وصول/خروج سريع, تخزين الأمتعة, صف السيارات, غرفة عائلية . في الفندق غرف نوم يتجاوز عددها 2، كلها مجهزة بعناية وجمال وبعضها مزود بـ تلفزيون بشاشة مسطحة, غرف لغير المدخنين, مكيف هواء, تدفئة, مكتب. يقدم الفندق مجموعة رائعة من الخدمات كمثل حمام سباحة خارجي, حديقة، لجعل إقامتك تجربة لا تنسى. إن Echuca Moama Holiday Villas هو مكان مثالي للمسافرين الذين يتطلعون إلى الراحة والاستجمام في مواما. The apartment was clean and welcoming. Good amenities and the staff were lovely. Traveling with my elderly mother and the staff allowed us to take our time to vacate the apartment. Comfy bed and pillows. Pool could do with a handrail at the steps otherwise all great. Stay here often, love it. Great place to stay had everything that was needed very quiet with easy parking. We had a great stay, the villa was spacious, clean and had everything thing we needed. Will certainly return for our next Echuca Moama break! The early check in as it was a very hot day. The bed was to small and hard plus to much road noise in the front villa. The service and cleanliness and the space was just perfect. We loved the full size kitchen and the little extras like glad wrap and hand towel plus rubber gloves. We were attending a wedding with my mother in law. 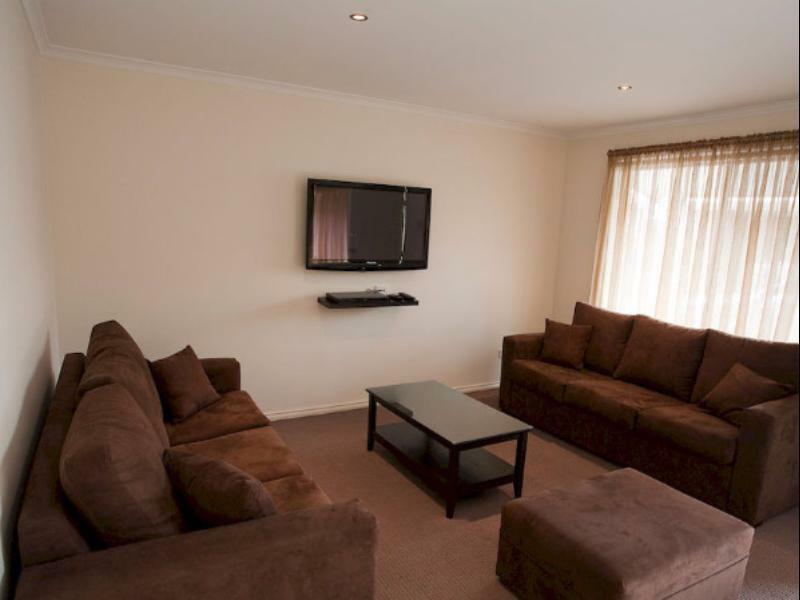 Very nice to have a comfortable lounge, a large TV and 2 bedrooms. Being able to self cater for breakfast suited us very well but you could have all meals here if required. Very well equipped . Beds were very fresh with spotless white linens. Wide covered car parking right next to accommodation. Very comfortable, quiet stay and would highly recommend. Great place to stay, wish we had longer to utilize all facilities. Excellent value for money, clean, quiet and comfortable. Will definitely recommend it and come back to stay! Cleaningness, great value for money, well appointed. Great place to stay. Quiet. Well appointed. Clean. Walking distance to Bowling Club. Great rate. The accommodation was lovely and clean on arrival. The beds where very comfy and had a lot of room inside the unit. The staff had the room heated for us on arrival which was lovely for a cold night. Roomy villa. Well presented with good furnishings. Handy location. 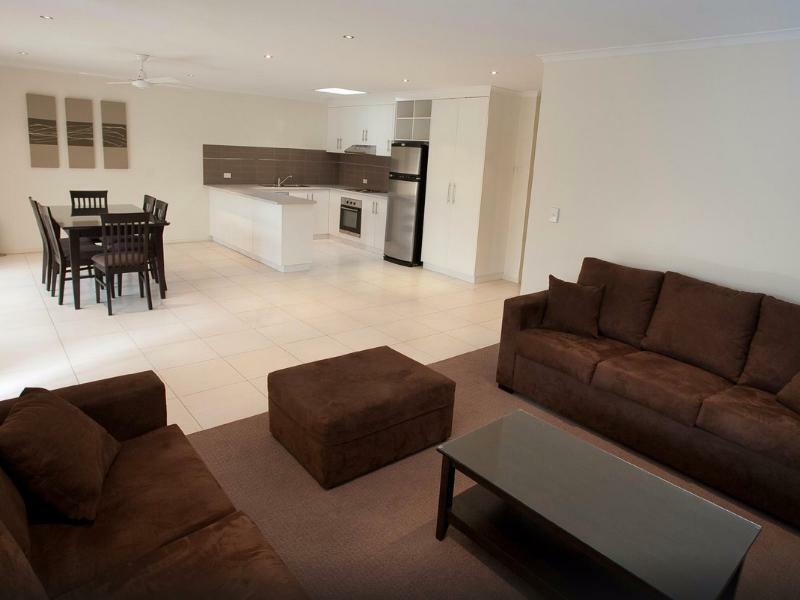 The villas provide plenty of room when compared to the cost of normal motel room.